Guest columnists and contributors are generously sharing their talents and insights while I’m taking some time to care for my new baby. 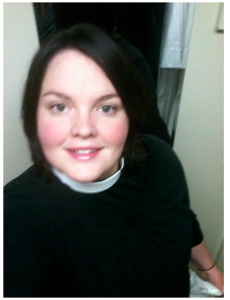 Today’s post comes from Annie Elliott, a priest in the Episcopal Church, who blogs at thereverendmrs.blogspot.com. Whether you have been dating someone for six months or committed to a life-long union, few times bring you closer to your partner’s family than the holidays. With the additional stress of the season, these visits can get tricky. After the jump you’ll find seven tips for surviving, and maybe even enjoying, the holidays with your significant other’s family. If you have specific hopes or worries about the holidays, let your significant other know. Don’t wait until you are at his family’s gathering to reveal that your Christmas just won’t be the same without your great aunt’s sweet potato pie. Clear expectations are a key ingredient to holiday success. 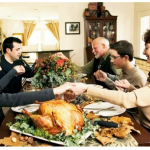 Try to be familiar with the names and basic life situations of immediate family members. And ask if there is anyone that makes your SO uncomfortable. Everyone has a close-talking uncle or a cousin that asks overly personal questions, and it can’t hurt to have a heads up. Do not become a lifeless and bland extension of your significant other. It’s good to make an effort to fit in, but don’t forget to let your personality shine through. You might think that you know your significant other very well, but there is always room for a new revelation or two. The first time I went to my husband’s family Thanksgiving, I saw pictures of him with hair. Since he’s has been bald the entire time I have known him, seeing pictures of him in high school with a ton of blonde hair was strangely disconcerting. Who knows what could be revealed at your Thanksgiving dinner! 5. 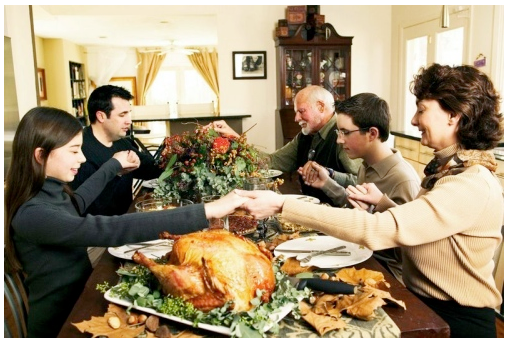 Be respectful of their family traditions and house rules. If you live with your fiancé, staying in separate bedrooms at his parents’ house may seem ridiculous. If you are an atheist, you may not care about blessings before meals. But it is their gathering, so be flexible about things that don’t compromise your integrity. 6. Stay positive about your SO in conversation. Don’t bond with your boyfriend’s family over his annoying habits. It may be funny in the moment, but it won’t serve you well in the end. 7. Arrange for some time alone with your significant other to check-in. It’s hard to practice effective communication when you are always in the company of relatives. Having a few minutes to check-in is invaluable. Volunteer to go get ice, or pick up a relative from the airport, or do some other quick errand together so you can make sure you are on the same page. 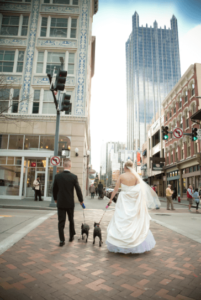 * Annie Elliott lives in Jackson, Mississippi with her husband and their beagle. She is a priest in the Episcopal Church. In her spare time, she likes to travel, work on DIY projects, and read advice columns. You can read more about her life at thereverendmrs.blogspot.com. Great article! It’s refreshing to see an article with real advice and not another one that is tongue in cheek. I would also add asking if there is anything you can bring, especially if this is your first holiday together. It’s fairly easy to make a loaf of garlic bread ahead of time and pop it in along side the turkey for five minutes without really getting in anyone’s way. Or bringing a bottle of apple cider (because everyone can usually drink cider) or a hostess gift. I am so glad we live within driving distance of both of our parents’ homes so we can go home at the end of the night instead of wrestling with “Who are we staying with and are they ok with us hanging out in the same bedroom” situation. Honestly, my parents would still make me sleep in a separate house as my boyfriend even though I’m 27. They also don’t permit alcohol at all and for fun like to sit around engaging in the most right-wing/racist conversations one has ever heard. I don’t think I could survive it an entire night. My boyfriend’s family is much more awesome so we usually spend more time there. I love this article. They seem like common sense but it’s stuff we forget too often. Number 7 really spoke to me! I love my boyfriend’s family but it can still be stressful to never have alone time. I will definitely be offering our ‘run to the store’ services.